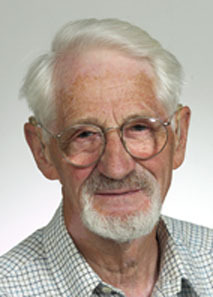 Danish physician and scientist Jens C. Skou studied the means by which sodium and potassium ions are transported and distributed through the cell membranes. In 1956 he discovered that the adenosine triphosphate (ATP) degrading enzyme was most stimulated in response to sodium and potassium ions, similar to those found naturally in nerve cells. From this evidence and more, Skou theorized that ATPase works through the means of an ion "pump" in the cell membrane, and detailed the process of phosphorylation, in which a phosphate group is transferred from donor to acceptor. For his discovery of the Na+ K+ ATPase pump, Skou was awarded the Nobel Prize for Chemistry in 1997, sharing the honor with Paul D. Boyer and John E. Walker, who conducted ATP related research independently.